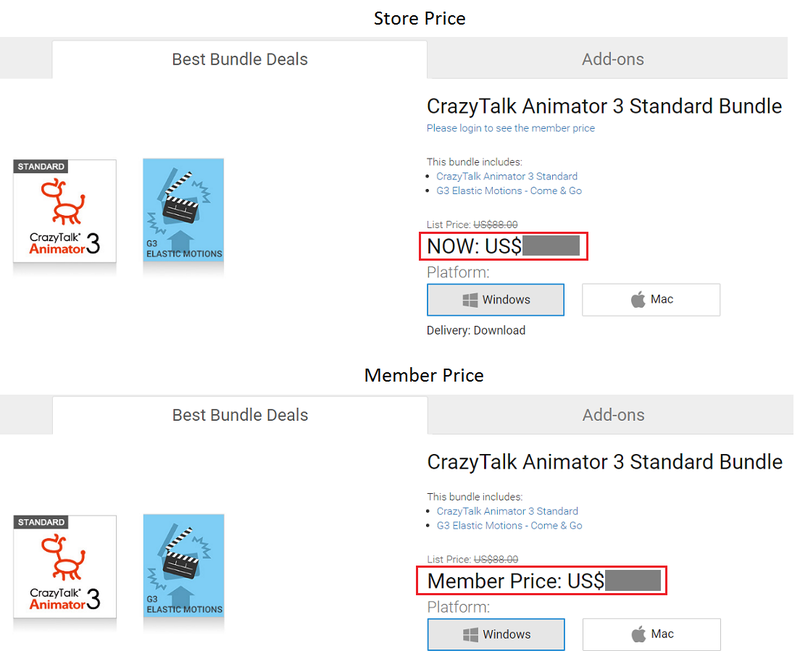 There are two different pricings in our store; one is List Price and the other is Member Price. If you have a Basic membership level and you haven't purchased any product on the Reallusion Store, then the price you see is a List/Store Price, this is regardless whether you are logged into your member account. Once you completed your first order purchase then your member level will be upgraded to Premium Plus, and you will find the Member Price labeled on the Reallusion Store when you log into your member account.